Today I'm going to do a photo tutorial for you all. 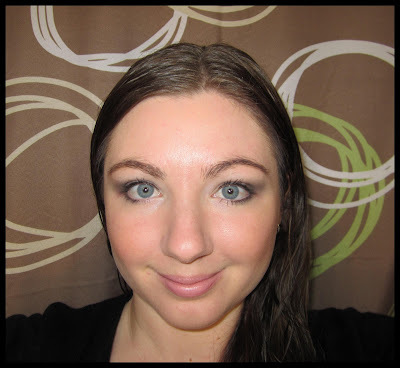 This is using the Rimmel Glam Eyes Smokey Noir Quad. I'm hoping to do more one quad tutorials for you guys so let me know if you like them! The greys really bring out your eyes, lovely!